G4S gets hoaxed, Sainsbury's makes peace with the Germans, Tim Geithner's colourful language. 1. Someone really doesn't like G4S. An extremely sophisticated prankster launched a fake website for the security company claiming it was restating its accounts and firing its CFO. 2. Sainsbury's has made peace with the Germans. No, not Lidl & Aldi, the discounters threatening to steal its customers. 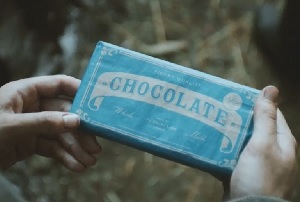 Its Christmas ad, 'cynical' or 'moving' depending on your perspective, evokes the legendary Christmas truce in First World War, which was held 100 years ago. 3. Former US treasury secretary Tim Geithner has a penchant for the F word. His expletive-laden rants about Europe's treatment of Greece were leaked to the FT this week. 4. Chinese ecommerce giant Alibaba said it processed more than $9bn (£5.9bn) in sales on 'Single's Day', the middle kingdom's anti-Valentine's day celebration of being a singleton. 5. Cambridge's tech credentials are getting another boost as it emerged Apple plans to open an R&D centre and Amazon will test its delivery drones in Silicon Fen. 6. An estimated 70,000 people will no longer be able to access payday loans after the FCA announced plans to crack down on the industry. 7. Sales, admin and construction workers need to watch their backs. A report predicts that these professions are most at risk of being taken over by robots in the next 20 years. 8. Asda execs aren't afraid to speak their minds about their rivals. Its CMO Barry Williams described a Morrisons voucher campaign in the Sun as 'desperate,' adding that he had never seen a promotion like it in his 25-year supermarket career. 9. Mind Candy, once the darling of London's tech scene, reported losses of £2.5m and a 35% fall in revenues in 2013 as it struggles to repeat its Moshi Monsters success.